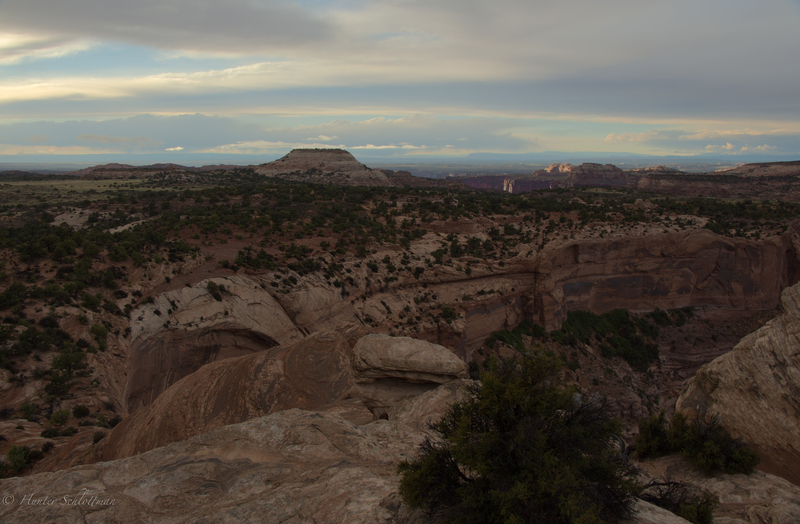 The first stop of my adventure out west this past May was Canyonlands National Park in northwest Utah. Canyonlands has some of the best views I’ve ever seen (granted that’s coming from a teenager raised in the fields of southern Minnesota). By far the best time to set up camp to take some photos is at sunset as the rocks turn different hues of orange and red. This photo was taken as an extra spectacular sunset was taking place. My travel buddies and I clambered up to this rock outcropping and took in panorama views of the canyon. More than once during the climb did I fear for my life as we slipped and stumbled up the pillar of rock. The end results were well worth the arduous venture, however, and I was awarded with this photo.